Graham’s next diary entry focuses on the subject of Russia and its leader for the first time. His description of the country’s “murderous ruler” clearly conveys his opinion of Joseph Stalin, and demonstrates he took an interest in his policies and practices in the interwar years. Joseph Stalin was the leader of the Soviet Union from 1924 after the death of Vladimir Lenin, until his own death in 1953. He was a communist, and his ideologies helped to develop Marxism-Leninism, with his party dogma based on the idea of “socialism in one country”. After observing the defeat of all other communist revolutions throughout Europe except their own in 1917, Stalin believed the nation needed to strengthen within. His policies included the integration of individual landholdings and labour to large farms, and a rapid increase in industrialisation which led to famines. Whilst he is still celebrated by some for his contribution to socialism and being victorious in war, he is widely condemned for the treatment of his people which saw millions die under his tenure such as during “The Great Purge” of the 1930’s that targeted perceived enemies of the working classes – imprisoning and executing them. It was Thomas’s opinion that Russia, unlike in World War One, would not play a part of any war to come and would instead “sit on the fence and let Western Europe finish the exhaustion begun in 14-18 and then walk in and do what she pleases”. We will never know if this would have indeed run true, as despite pacts of neutrality and non-aggression between the two, including the Molotov-Ribbentrop pact which was forged later in 1939, Hitler ordered the invasion of the Soviet Union in the summer of 1941, bringing the nation into the conflict. 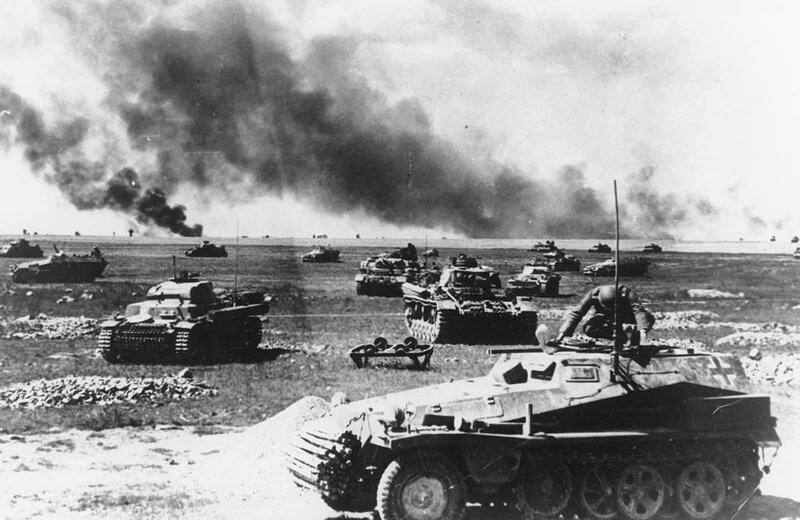 Known as “Operation Barbarossa”’, it was the largest military invasion in history.